Permits can be obtained at the Borough Office, 1515 Poplar St. or by using the link below. Reminder Bureau of Dog Law Enforcement will be checking for pet licenses starting this week. Pet owners are reminded to renew their dog’s license for 2019. All dogs three months of age or older must be licensed in Pennsylvania, either on an annual basis or with a lifetime license. Annual licenses are $8.50, while lifetime licenses are $51.50. Dogs who are spayed or neutered can be licensed for $6.50 for the year, or $31.50 for a lifetime license. Discounts are available for senior citizens and those owners with disabilities. Applications for license renewals can be found at this link to the county. Community Park Clean Up is scheduled for May 4th from 9am-3pm. This is a great opportunity to earn volunteer hours! 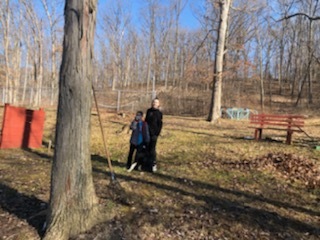 Grab your boots, gloves, and rakes and get some fresh air at the beautiful park we have in our back yards! Planning helps shape communities for a better tomorrow. A comprehensive plan is the vehicle for that. South Greensburg Borough invites you to review and comment on the Borough’s proposed 2019 Comprehensive Plan Final Report. On April 2nd, 2019 the South Greensburg Planning Commission will hold a public meeting to consider the plan at 5:00 PM at 1515 Poplar St., Greensburg PA 15601 for the public to learn more about the plan and ask questions of key planning team members. A public hearing on South Greensburg’s Comprehensive Plan will be held on May 13th, 2019 at 5:00 PM in the Council Rom at 1515 Poplar St., Greensburg PA 15601. A tentative date of May 13th at 6:30 PM in Council Room at 1515 Poplar St., Greensburg PA 15601 has also been scheduled. A hard copy of the plan is on file in the borough office. 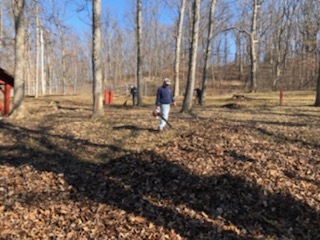 We had a beautiful morning this past Saturday getting South Greensburg Park cleaned up and ready for spring! There are 2 pavilions for rent in warmer months- great for family reunions, graduation parties, and any other type of get together you want. There’s swing sets and plenty of land for little ones to run!! We will have another clean up date to be announced in the future for those of you interested in our park, helping to get it ready for summer, and or just wanna get some fresh air, please join us! Thanks for the people who came out and helped this weekend. We need volunteers! 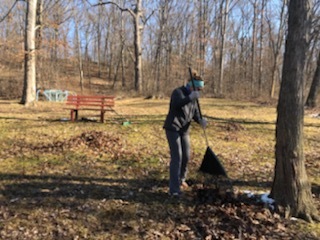 Bring your rakes, gloves, boots, and muscles and help us clean up leaves, branches and debris in South Greensburg Park from 9am-12pm on Saturday March 9th. We hope to see you there to make our park ready for the spring! If you have a garbage payment, please drop it in the mail box in the rear of the building. The January 9th, 2019 Park Commission Meeting has been cancelled due to lack of quorum. The next meeting will be held on February 13th, 2019.